Raw images spotted! 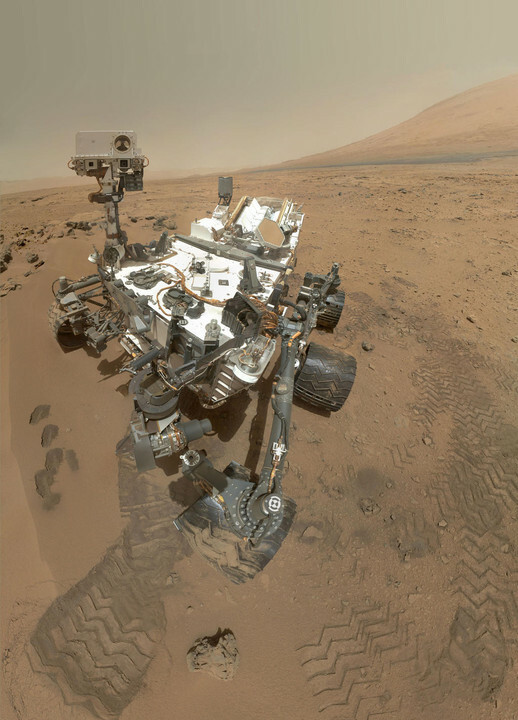 Self-portaiture using MAHLI instrument verified! 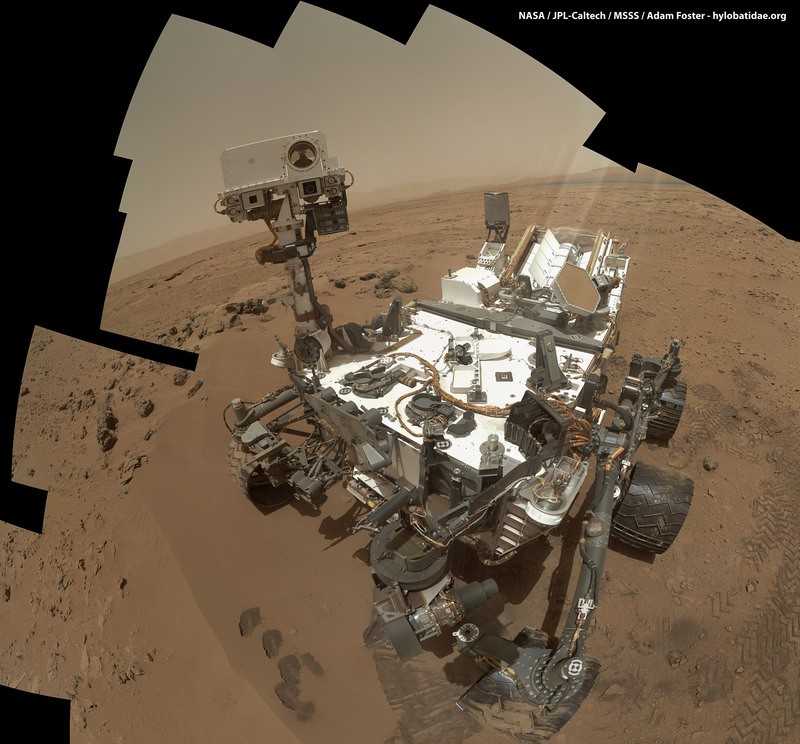 Unofficial MSL Curiosity self-portrait assembled using Hugin! Dust-covered camera lens cap retracted! Edit 2012-11-01: Please note that the above image is an utterly unofficial panorama made from the converted-for-web raw images very kindly provided by the Mars Science Laboratory teams. They've already got an official, low-resolution panorama up - I'll link to the official full-res version when that gets posted. If you're a news source looking for imagery, please do use the official stuff instead! Edit 2012-11-03: Highly unofficial interactive panorama displayed using the WebGL-using, HTML-5-powered Pannellum viewer. Apparently only works on Chrome, Firefox and Safari (with WebGL enabled). Enjoy! How did you cover up the arm that the hand lens is attached to? THE DANGER IS IN A PARTICULAR LOCATION - IT INCREASES TOWARD A CENTER. THE DANGER IS UNLEASHED ONLY IF YOU SUBSTANTIALLY DISTURB THIS PLACE PHYSICALLY.